Fractals in Leaded, Fused and Cast Glass, Surrey. This set of three stained glass panels were designed for my customers who have a very keen interest in fractals and Julia sets. This was a very exciting project for me because I too have a keen interest in patterns and am constantly on the look out for where they occur in nature. A pine cone and a sunflower seed head are both arranged in mathematical patterns, in their case known as “Fibonacci series”. All very amazing. 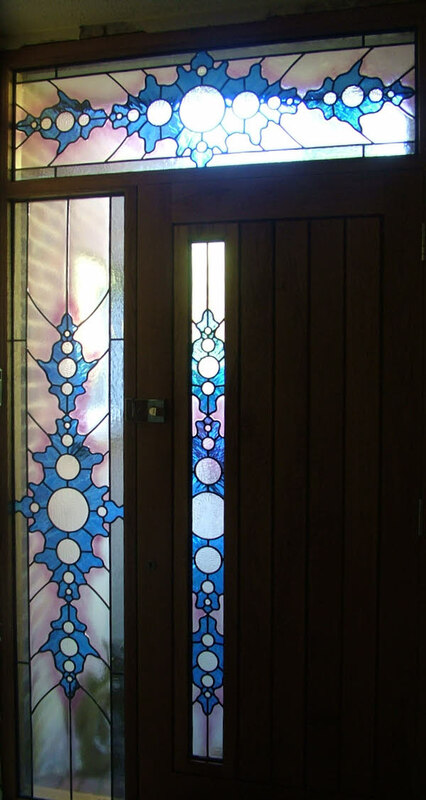 When I was asked to design a window based on a Julia Set I was thrilled. I simplified the basic shape of a fractal and then repeated this pattern. I cut the blue using water glass and chose to cut the pattern in a way that sets up more movement within the panels. The background glass is fused to give the fading of pink which enhances the blue. The central pieces of clear have been cast with natural fern shapes. Ferns too are fractals. Each frond made up of mini fronds which are also made up of mini fronds and so it goes on! Take a look next time you’re out for a walk. It’s amazing. 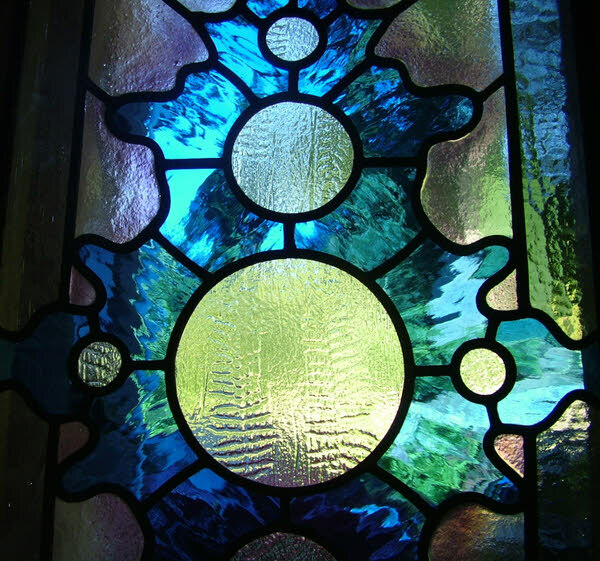 These stained glass panels have been encapsulated into sealed units.